The beauty of Cambodia goes far beyond the famous Angkor Wat ruins or the charm of the Khmer people’ s simple lifestyle. The country’ s food culture is also not to be missed. 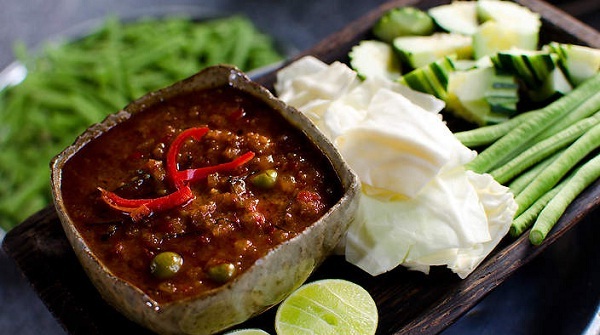 Made from the most delicious small fish, prahok kits as the main ingredient can be cooked into more than 50 dishes such as egg steamed, meat steamed,etc. It is usually served with fresh vegetables such as green mango, eggplant and cucumber for dipping, the addition of tamarind sauce adds a bit of sweetness and some acid to balance it out. 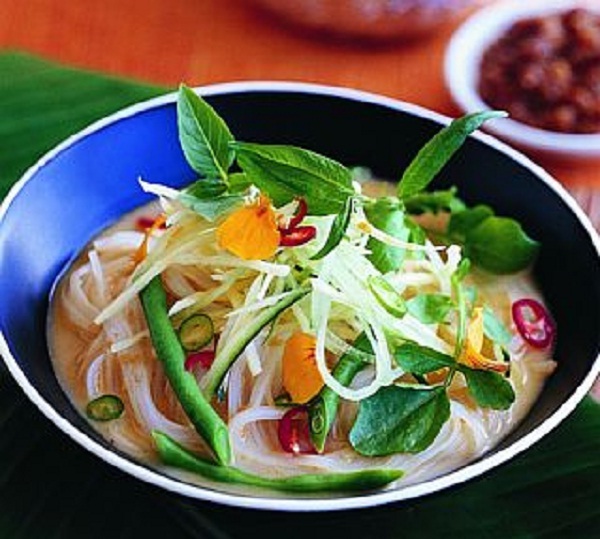 Many locals start their new day with a popular dish known as Khmer noodles. It consists of noodles laboriously pounded out of rice, favored with fish- based green curry navy made from lemongrass, turmeric root and kaffir lime and lots of fresh vegetables including cucumbers, green beans, mint leaves, banana blossom and bean sprouts. 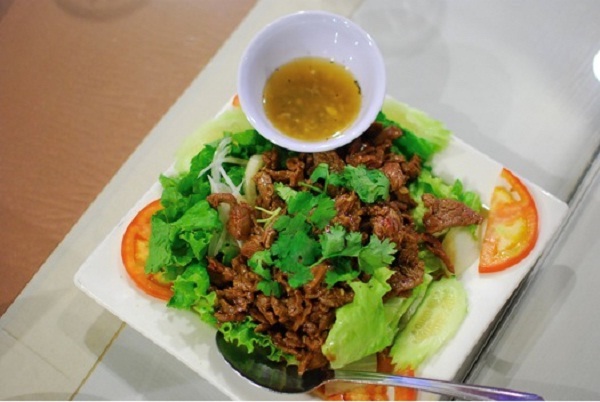 It is stir- fried marinated cubed beef or pork slices in a brown sauce, prepared with plenty of oyster sauce, soysauce then served with rice or green salad and pepper sauce, fresh red onions on a bed of cucumbers and tomatoes and dipped in a sauce consisting of lime juice and black Kampot pepper. The beef or pork slices must be marinated in advance before cooking so that they are tastier and juicier. 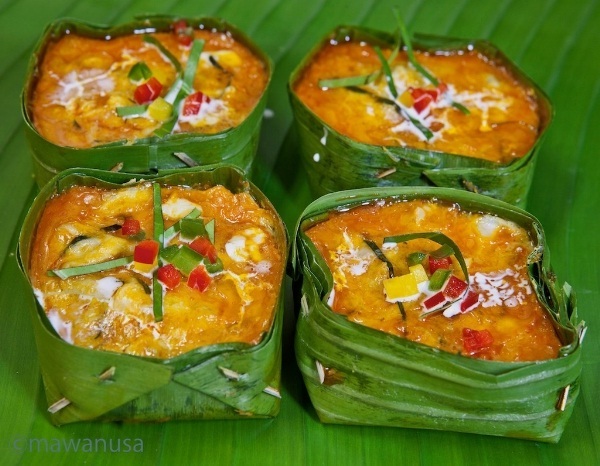 Cambodian food is often all about the contrasts- sweet and bitter, salty and sour, fresh and cooked. 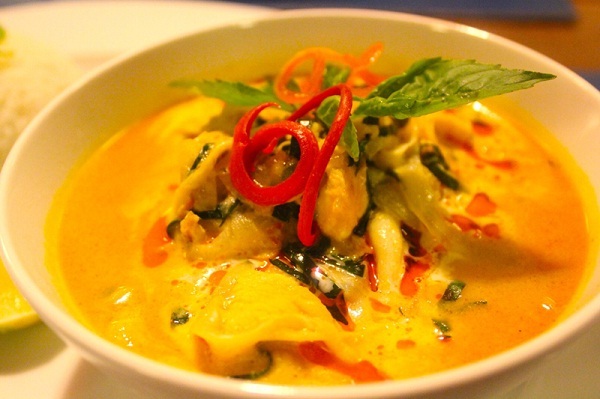 Go to Cambodia to enjoy the stunning cuisine.